I am proud to say that I was today's featured participant on the NaPoWriMo blog with this poem. 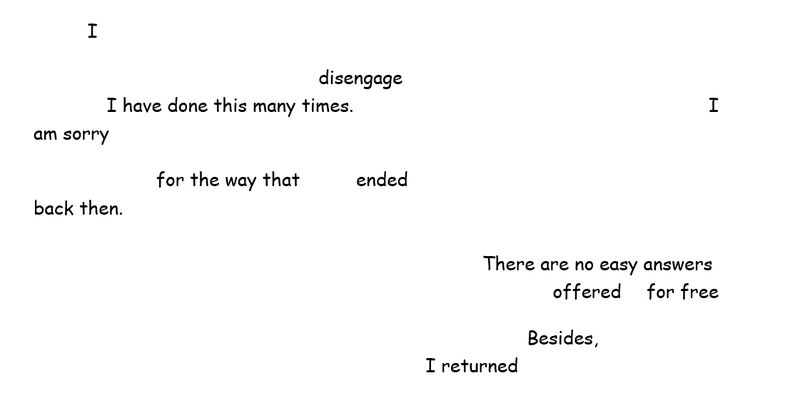 It's surprising how how the first line "I" and the last is "I returned" give balance to the poem and its format and -- wow! I think poems have a will of their own sometimes. I was surprised myself by the way this looked on the page. I had three "I's" in the whole passage, so I had to hunt them. 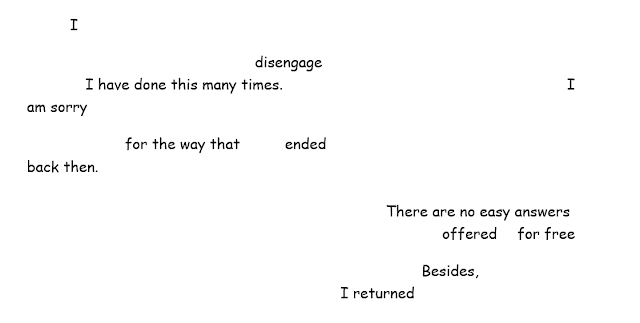 There is a skill to erasure poems and you seems to have captured it. I like this very much. Bennie, you should have seen my erasure poem last year. It was awful! The prompts are hard this year, so I constantly go out of my comfort zone. This is a good thing. Wow! I love the way this turned out. Am going to try it out again. So much said in such few words. Thank you so much. I just kept deleting and deleting. That's what most of my revision looks like, anyway. I always have too many words in the first draft. Really good! 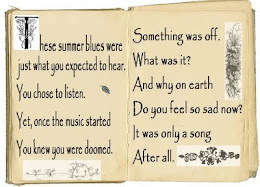 I hope the new visitors you'll get today (as this one is today's featured poem)will check out more of your poems. They're totally worth it. Thank you so much. To be quite honest, if I was to choose my favourite poem among those I wrote this month, I probably wouldn't choose this one. Still, we are not objective when it comes to our own work.